Historic House Museums and Visitor Voices Breakfast on Friday, October 5 at 7 am, when Conny Graft and I will be discussing the perception gap between visitors and historic sites. 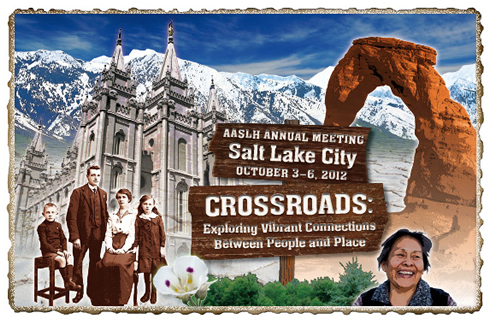 Re-imaging Historic Sites: Three Roads to the Same Destination on Friday, October 5 at 10:45 am. I’ll be joined by visitor research consultant Conny Graft, preservation architect Barbara Campagna, and house museum director Gwendolen Raley. Meshing Mission and Community: Identifying Strategies for Engagement on Saturday, October 6 at 9:00 am. I’ll be joined by Deborah Schwartz of the Brooklyn Historical Society and Lorraine McConaghy of the Museum of History and Industry. When I return, I’ll have lots to share so look for those posts in the coming weeks. This entry was posted in Community engagement, Governance and management, Historical interpretation on October 3, 2012 by Max van Balgooy.